How is my child’s education funded? California’s educational funding has been drastically cut over the past 30 years. As a result, programs including art, music and libraries, that used to be included in standard public school curriculum, are at risk of being discontinued or severely scaled back. State funding, property taxes, and parcel taxes alone do not cover the funding gap for the quality education that our community wants to provide for our children. The programs not funded by the state are made possible by both the Wade Thomas Parents Association and the YES Foundation. The chart at the right will give you an idea of what is supported by each group. Great overview, but can you be more specific? The WTPA manages an annual budget of $50,000 to cover costs associated with classroom supplies, technology, site improvements, and special events for teachers and families. The graph at right will give you an idea of what expenses we cover. 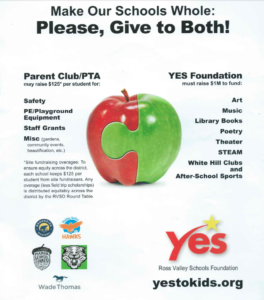 YES is our foundation for the Ross Valley School District. It serves 100% of kids at Wade Thomas, Brookside, Hidden Valley, Manor and White Hill. Its annual budget of $1 million funds high-quality instruction for art, music, poetry and STEAM (Science Technology Arts Engineering and Math); theater productions; library books; assemblies with 3rd party thought leaders like authors, poets, esteemed professionals. YES suggests a donation of $750 per student, but any contribution of any amount is welcome and makes a difference. YES relies on you to reach the $800K Family Giving portion of its budget. YES raises funds for the year in progress. Read more about how to support YES below. Donate here. I’ve heard about “Roundtable”. What is that? 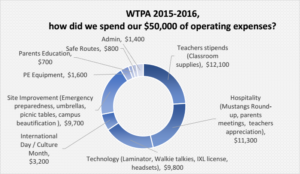 When the WTPA raises more than our $50,000 budget, the excess goes into a pool of funds (along with excess funds raised by other schools) that is managed by the RVSD Roundtable to support equitable improvements across our schools. In many cases, Wade Thomas will be the recipient of a portion of these dollars for improvements we cannot cover with our own budget. 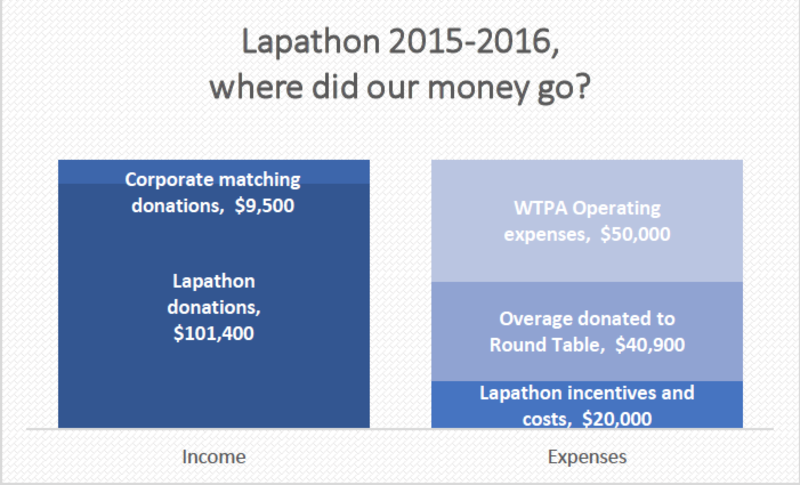 How can I help the WTPA raise money? This is our only fundraising event directly for Wade Thomas. The children ask their community for donations to run laps on the lower playground at the school. It is an all-day event with music, refreshments and the parents come out and help keep the kids cool by spritzing them with water as they run by. It’s a fun family event and the children have a great time. Each child that participates gets a Wade Thomas Lap-A-Thon t-shirt and there are also class prizes for extra motivation. Of the total amount we raise, our school keeps $50,000 after we cover the expenses of the event. Expenses include the t-shirts the children all receive and are a major motivator for the students as well as additional prizes such as class parties. 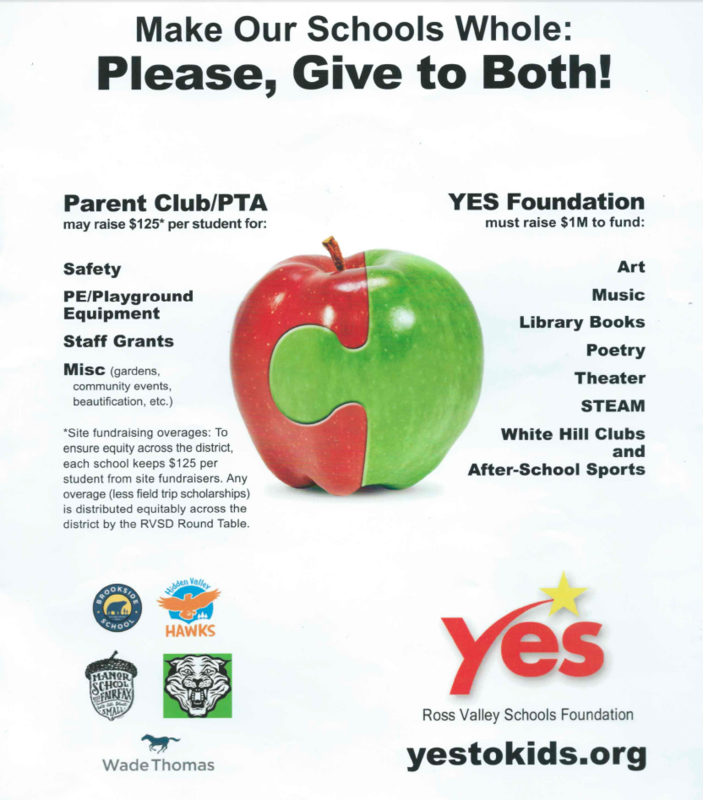 Any excess funds raised go to the RVSD Roundtable, which funds various activities for the school district. In celebration of your child’s birthday, you have an opportunity to make a donation so that your child can choose a book to dedicate to the Wade Thomas School Library. This is a lasting and meaningful way to commemorate your child’s special day that also directly benefits our school! There is no state or district funding for field trips. Therefore, we ask each family to donate voluntarily the estimated cost of their child’s participation in his/her trips. We realize for some families it might not be possible to donate the full cost. No child will be prevented from participating in his/her class trips for financial reasons. How can I help YES raise money? Learn about these opportunities and MORE at https://yestokids.org/. Reach out to Amanda Schwartz (your Campus YES Liaison) at amanda1schwartz@gmail.com with questions.